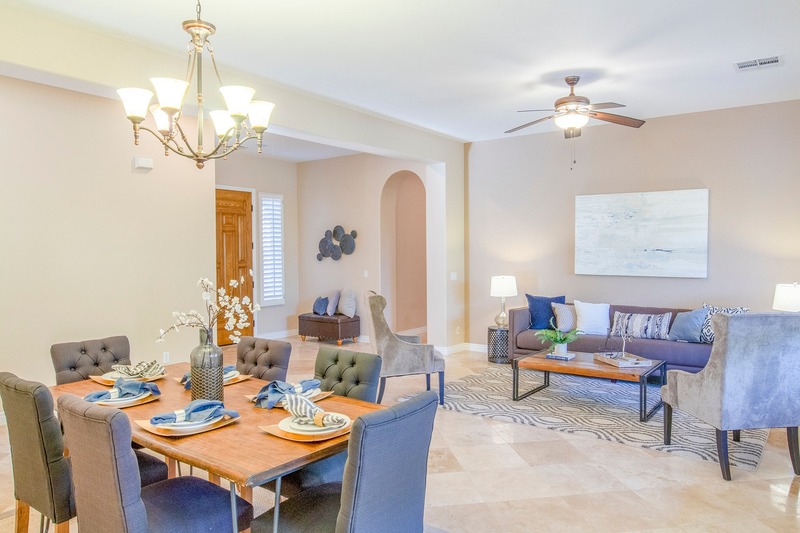 Welcome to Germann Country Estates, a gated community featuring single-level custom homes in one of the most highly desired zipcodes of Chandler! 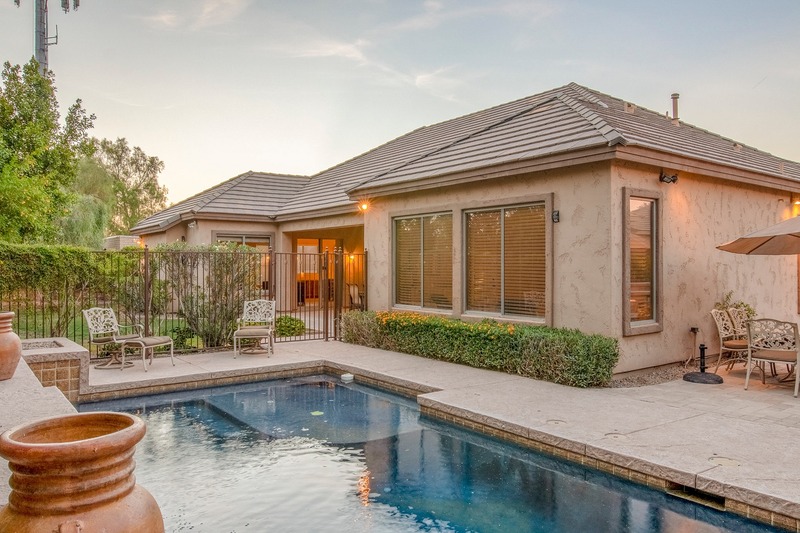 At 2,893 square feet, this home sits on a premium cul-de-sac lot with lush landscaping. This home is sure to stun you, with its four bedrooms, two and a half bathrooms, a gourmet kitchen, feature fireplace, and an entertainer's backyard! The stonework on the outside of this stunning home will wow family and guests alike as the arrive in the spacious driveway. The lighting fixtures on the outside of the home light the way inside and make a statement at night. When guests arrive they'll be in awe of the enormous triple windows facing the backyard, elegant formal dining space, and open-concept formal living room that is warm and inviting. 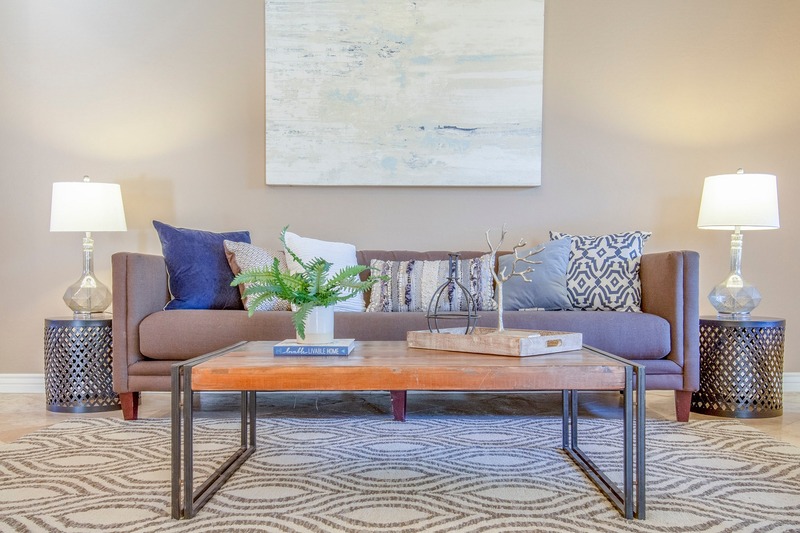 Filled with natural light, a neutral paint pallet, and gorgeous travertine flooring, this space will be the go-to area for indoor entertainment. 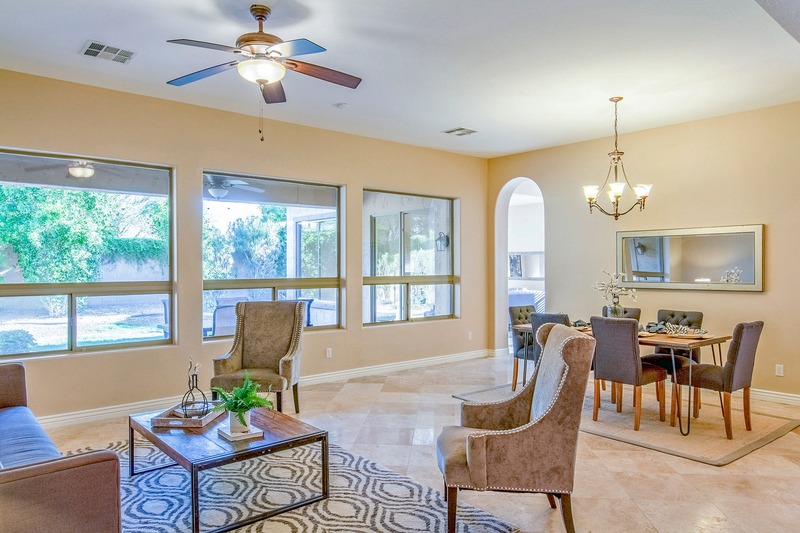 The heart of this home is its exquisite kitchen and family room area. You and your family will love gathering in the kitchen for a homecooked meal, mimosa-and-eggs brunch, or even a quick snack with the kids. Granite countertops, kitchen island, and extensive cabinet storage make this a dream kitchen for the home chef. Granite counter tops elevate the kitchen and extend beneath the window for additional space above and beneath in cabinets. Imagine eating a quick meal at the island or enjoying dinner together at the family dinner table. From the kitchen, there is an easy view of the living room (so you can cook and watch TV too)! You'll look forward to hosting movie and game nights in your family room, where you can light a cozy fire or turn on Netflix and get lost in the latest movie. Big enough for the whole gang but intimate enough for a quiet night in, you'll love the family room in this home. Enjoy a cozy fire during the holiday with the family. Surrounding windows allow natural light to pour into the living room for gorgeous lighting in the evenings and a view of the luxurious backyard. Step into the master suite, where you'll enjoy resting your head each night. Lit by large windows that face the pool and ivy-covered back wall, you will be transported to a serene escape from the workday. With access to the back patio, you can easily change from your work clothes to a swimsuit before heading out to the pool! Imagine lying down at night in complete relaxation in a king sized bed in this luxury bedroom. A private access door outside from your bedroom allows you to be steps away from your outdoor oasis. Beautiful french doors lead into the bedroom and open the space up to make it inviting. The master bathroom provides a relaxing haven from the day, with double vanities, large tub, shower and walk-in closet for a home spa experience. A true split floor plan, the three additional oversized rooms feature rich, hardwood flooring throughout providing a stunning contrast to the stone flooring and a functional base for kids rooms, offices, or guest suites. Perfect for a nursery or kids room. If you entertain family frequently, it could also be a guest room. The third spare bedroom also has wood floors and has endless potential as a bedroom, office, or hobby room. Enjoy a second luxurious full bath with double sinks for kids or guests. Includes upgraded mirror fixtures and consistent standing bowl sinks to the master bath. Allow visitors to stop and powder their nose in this happy half bath with a pedestal sink. Guests will enjoy a quick stop in this adorable bathroom. Enjoy a large laundry room with plenty of counter space for folding and keeping all your laundry essentials in order. Outside, this home's backyard is an entertainer's delight. 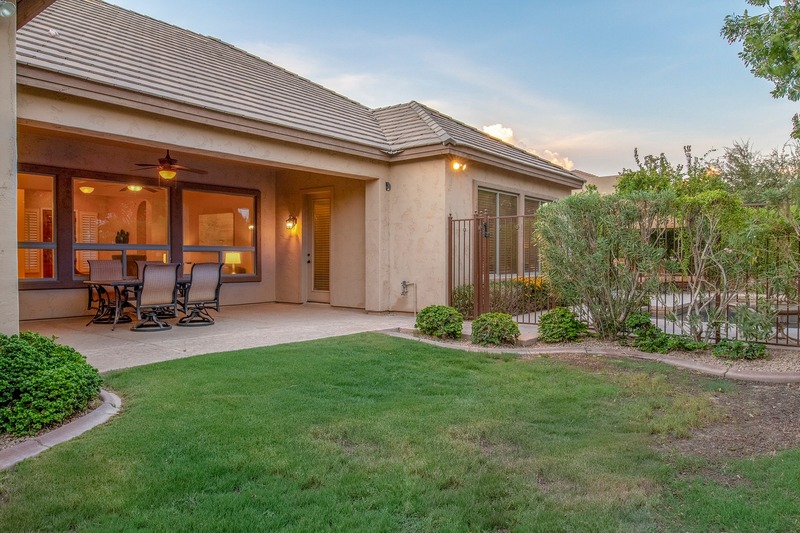 The covered patio area is perfect for sitting with a margarita in hand while the grassy area is great for pets and kids to run around in and the sparkling pool is ideal for staying cool in the summer. 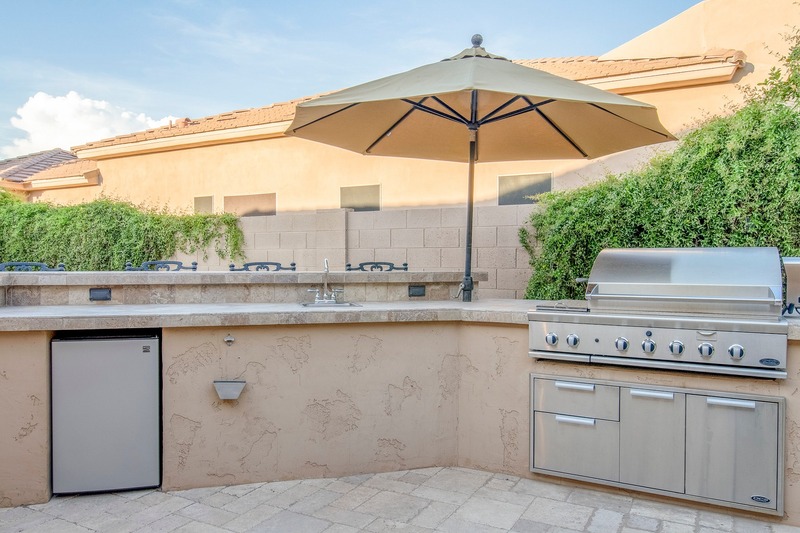 Having a backyard BBQ, invite friends and family to the built-in barbecue and sitting area are for the best in cookout dining. 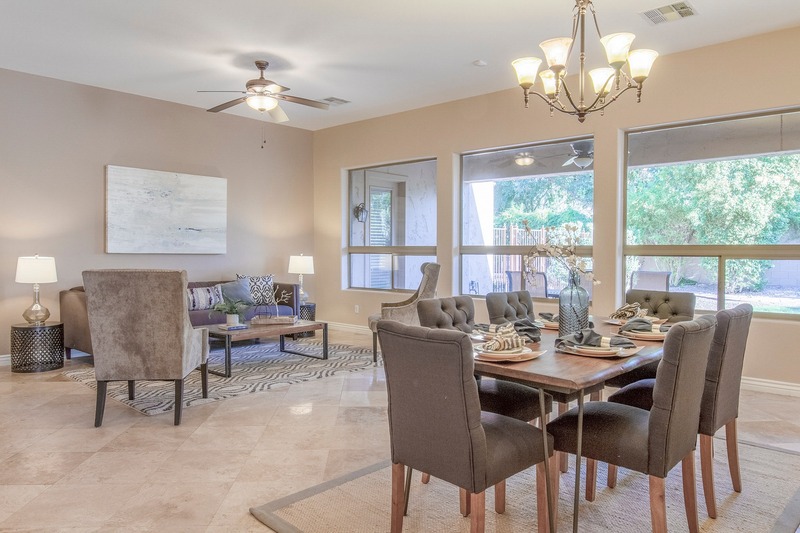 When you live across from the hottest retail & restaurants in Chandler, you can enjoy a bruschetta plate at The Ivy or a pizza at Oregano's with just a short bike ride down the street. 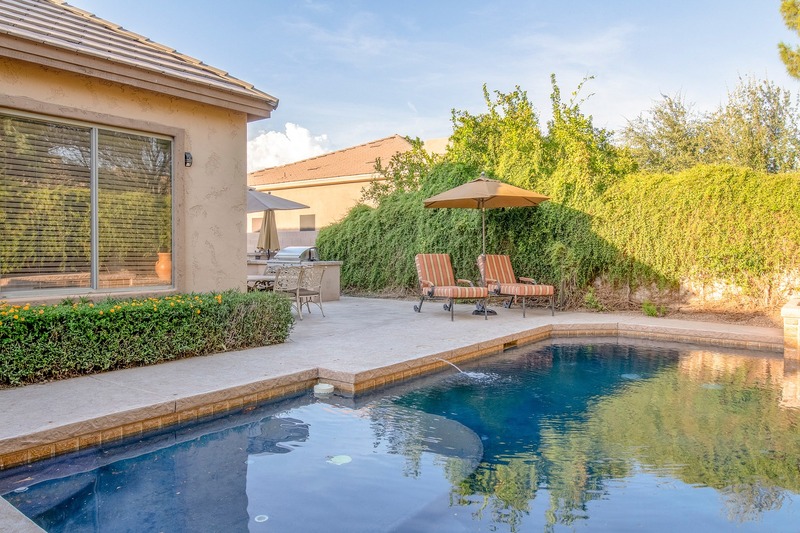 A few minutes from the Santan Freeway, Chandler Fashion Center and Loop 101, this centrally located home won't last long so be sure to schedule a showing today!